The Democratic whip operation is focused on government transparency, one piece of technology at a time. 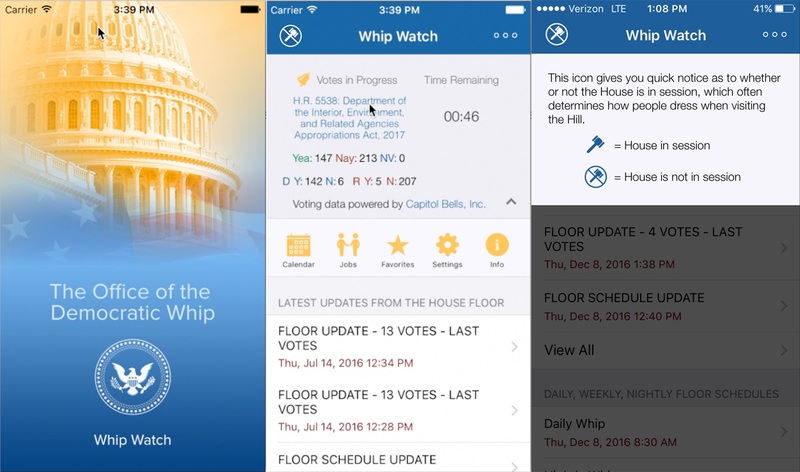 House Minority Whip Steny H. Hoyer rolled out major updates to the “Whip Watch” application at his members meeting on Thursday. “We think this is a real step forward in making it even more useful in real time for people,” the Maryland Democrat said. Major new features allow users to be informed about House votes in real time. That includes giving them access to live vote totals with party breakdown, the time remaining on a vote, and how long a vote stays open after it was supposed to close. “This is all a part of the effort of trying to make government more transparent, more efficient and using technology that’s available so that government is more user-friendly to the public,” Hoyer said. Members, staff, reporters, and the public can download the app. Since launching in June 2015, it has been downloaded more than 30,000 times and had 3,000 active users. The updated version retains all the functions of the original app. That includes legislative information, amendment descriptions, real-time House floor updates, an updated House calendar, daily and weekly House floor schedules, press releases and videos from Hoyer’s office, and job openings in House Democratic offices. One member in particular is a big fan. As for the other side of the aisle, Hoyer’s Whip team has received good feedback from Republicans. Though he hasn’t heard directly from Majority Whip Steve Scalise. Staffer Stephen Dwyer runs Hoyer’s technology operation. “He does a wonderful job, not only for me, but the caucus relies on him as well … to make sure that we’re using the best technology that we can,” Hoyer said. The office’s push for technology is “not only to make the House run well but to make [sure] the people of the country have access to see how it runs and getting the information that it generates and being able to communicate with their members, with Congress, so that there can be a two-way conversation in our democracy, which is most important,” Hoyer said. To download the app, search your app store for “Whip Watch,” branded with the Capitol dome on a gold background. The installation is free.